Advertise your business event in style. 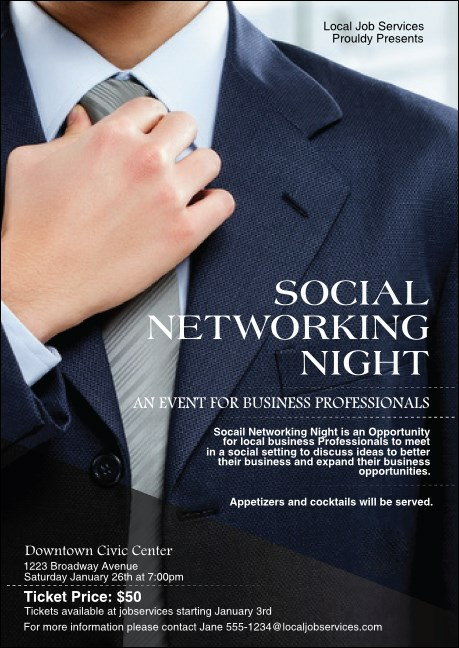 The Social Networking Postcard features a crisp suit and clear white text for your information. Add eighteen lines of text detailing your event to the template below. Hand or send out these cards to potential guests or leave with supporting businesses or professional groups. Approximate size 4.25" x 6"
Add variety to your promotions with a postcard from TicketPrinting.com.